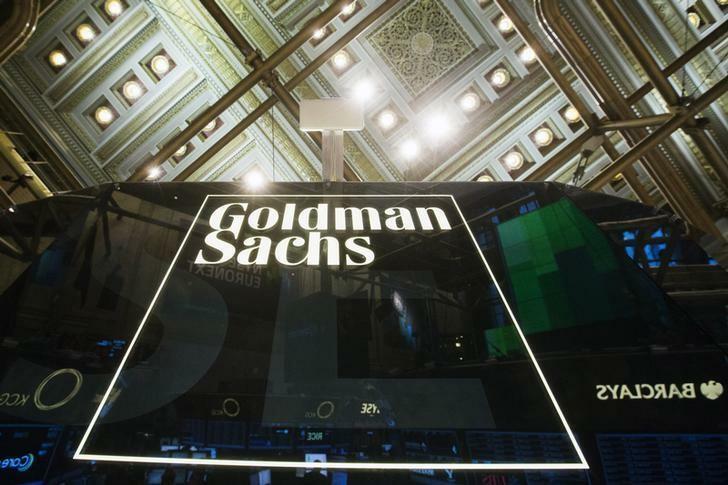 (Reuters) - Goldman Sachs Group Inc's (GS.N) profit plunged 38 percent, its second straight quarterly drop, depressed by a steep decline in bond trading revenue triggered by concern about global growth. With the exception of investment banking, which benefited from a surge in takeovers, revenue fell in all of the bank's major businesses, from investment management to bond, currency and commodities trading.The results are the latest example of how a grim trading environment, exacerbated in the most recent quarter by worries about the global impact of a Chinese economic slowdown, is gutting Wall Street. "We experienced lower levels of activity and declining asset prices during the quarter, reflecting renewed concerns about global economic growth," Chief Executive Lloyd Blankfein said in a statement on Thursday. Goldman said revenue from fixed-income, currency and commodity (FICC) trading, fell 33 percent to $1.46 billion, the biggest year-over-year drop since the third quarter of 2013, when it was squeezed by concern about tighter monetary policy. JPMorgan Chase & Co (JPM.N), Bank of America Corp (BAC.N) and Citigroup Inc (C.N) also have reported falling revenue from bond trading, but as deposit-taking banks they are less dependent on such income than Goldman. Both JPMorgan and Bank of America reported 11 percent declines in FICC revenue, while Citi's revenue from the business fell about 16 percent. Arch-rival Morgan Stanley (MS.N) will report results on Monday. "Investors sit it out in such a market. They don't trade," said Erik Oja, an analyst at S&P Capital IQ. "Unless such a market rout happens again, I would expect fourth-quarter trading revenues at the banks to improve compared to third-quarter." However, JPMorgan CFO Marianne Lake offered little hope for a quick rebound, saying earlier this week that analyst estimates for the current quarter appeared to be too high in light of slow market trading in the first two weeks of October. Goldman's shares reversed losses in late day trading and gained 3 percent as the broader market rallied. The bank said its net income applicable to common shareholders fell 38 percent - to $1.33 billion, or $2.90 per share, from $2.14 billion, or $4.57 per share, a year earlier. Analysts had expected earnings of $2.91 per share, according to Thomson Reuters I/B/E/S. Net revenue fell 18.2 percent to $6.86 billion, far short of the average estimate of $7.12 billion. Return on equity fell to 7 percent from 11.8 percent in the same quarter last year - far short of the 30 percent range the bank achieved before the financial crisis. Many investors argue that banks need at least a 10 percent ROE to cover their cost of capital. Goldman made no mention of Blankfein's cancer in its results statement or on a later conference call. The long-time CEO said last month he had a "highly curable" form of lymphoma and would be able to work mostly as normal during treatment. Goldman has stressed the bank's commitment to trading, even as other banks have pulled back or exited the business to focus on less-volatile activities that require less capital. New rules aimed at improving banking stability also discourage banks from trading off their own balance sheets. FICC contributed just 21.3 percent to revenue in the latest quarter, compared with about 40 percent at its peak. One bright spot was investment banking, where debt underwriting and M&A advisory stood out. Revenue in the unit rose 6.3 percent to $1.56 billion. The bank led U.S. target M&A advisory work this year with$522.2 billion in deals as of Sept. 18, according to Thomson Reuters data. JP Morgan was second with $460.4 billion. Revenue from equities trading rose 9 percent to $1.75 billion, matching the performance of JPMorgan, but lagging gains at Citi and Bank of America. Goldman's equity underwriting revenue more than halved to $190 million, registering its weakest quarter in three years as many firms delayed going public . U.S. IPO activity this year was down 42 percent as of Oct. 9, according to Thomson Reuters data. Goldman is ramping up its investment management division, with the hopes of offsetting volatility in its trading arm. The bank grew its total assets slightly to $1.19 trillion, acquired impact investing firm Imprint Capital and launched new products during the quarter including its first-ever exchange traded funds. Investment management accounted for 21 percent of the company’s revenue during the quarter, up from 17 percent in the year-ago period. Still revenue from the business was down 3 percent at $1.42 billion. Revenue from Goldman's investing and lending division fell 60 percent from the same quarter a year ago, as the weak stock market took a toll on the bank's equity investments. The bank spent 16 percent less on employee compensation in the quarter. Up to Thursday's close of $184.96, Goldman's shares had fallen 4.6 percent since the start of the year, underperforming the S&P 500 index (.SPX), which lost 1.7 percent.